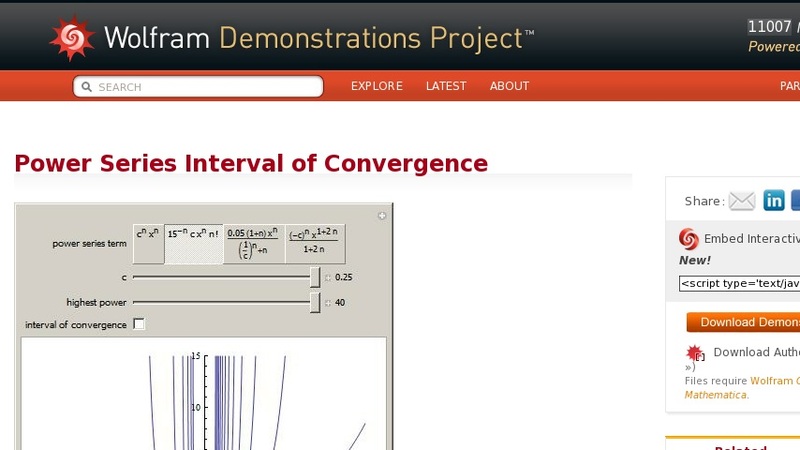 This Demonstration illustrates the interval of convergence for power series. Every third power series, beginning with the one with four terms, is shown in the graph. Hover the mouse over a graph to see the highest power of ... that appears in the corresponding power series.